I wrote “Stealing Money from the Crowd” in anticipation of this year’s Breeders’ Cup. 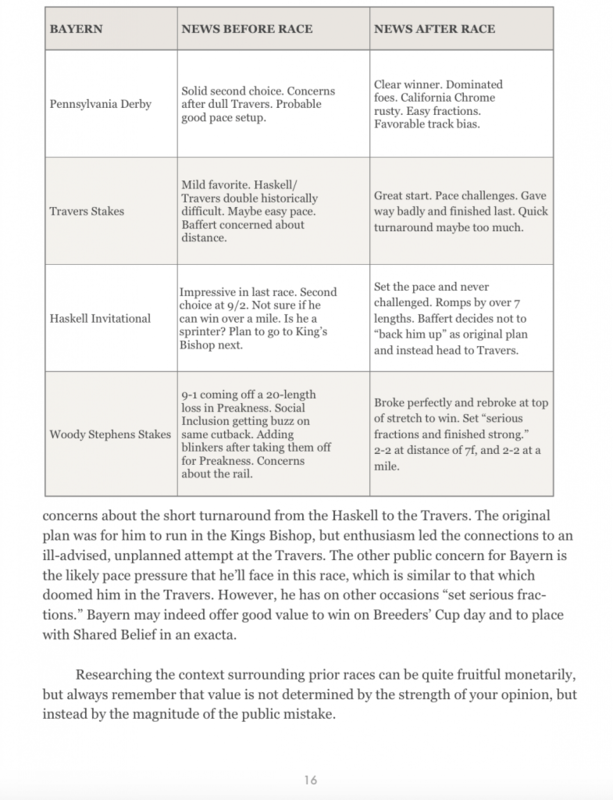 It was not a preview of particular races, but a description of two contrarian approaches that are quite useful at the races. 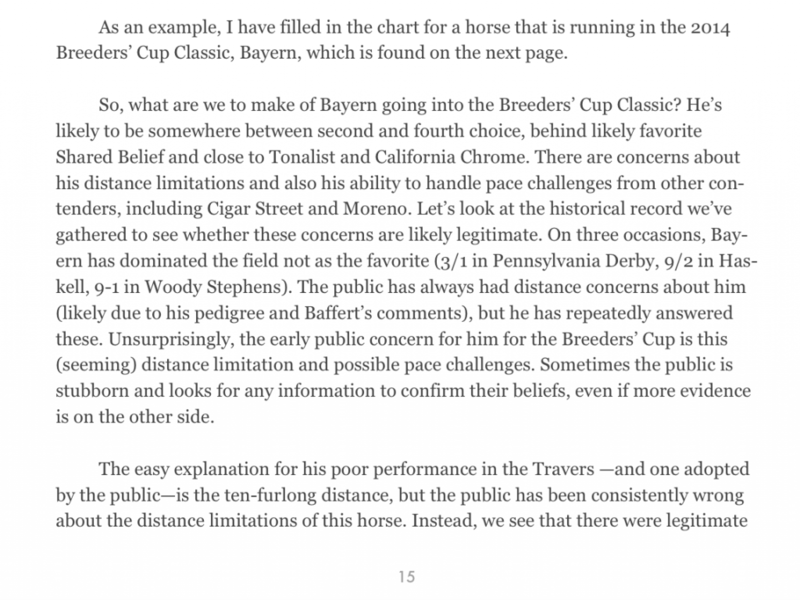 I did, however, discuss one horse in the guide: Bayern, who won the Classic with a 113 Beyer speed figure. Regardless of the controversy regarding the start and his (possible) interference with Shared Belief, he ran far better than expected by the public. The public’s concerns about him, as usual, were unwarranted. The approach which I used for Bayern involves an analysis of public opinion before and after races. It is explained in detail in the book. In addition, the guide also discusses the favorite-longshot bias, which year after year, provides value and can be especially useful in finding legitimate singles. Both of these approaches work on any major raceday (i.e. stakes on Saturday) and can be a useful to addition to your game. In honor of Bayern winning at 6-1, I’m having a sale on the guide. Originally $2.99, now on sale for $.99 here. Just enter code “BAYERN” at checkout for the discount.